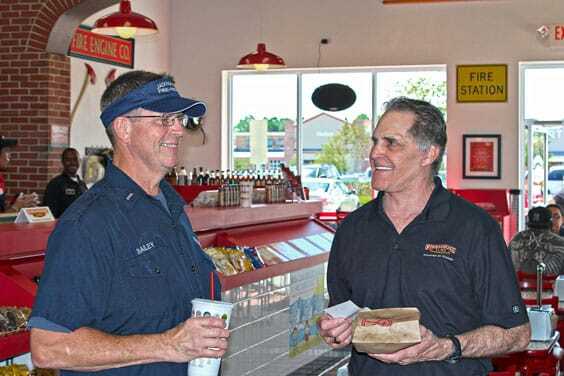 Former firefighting brothers, Chris and Robin Sorenson founded Firehouse Subs in Jacksonville, Florida, in 1994. The restaurants all reflect an authentic firefighter heritage, as well as the founding family's 200 years of collective firefighting services. The Parker location is owned by franchisees Cory and Curt Cummings. After researching many franchising opportunities they decided on Firehouse Subs because of the business values and moral values shared by the Firehouse Subs leadership team. Curt, a resident of Douglas County for 54 years, served on the volunteer fire department in Franktown and currently holds a post on the board of directors there. Cut's son, Cory, spent time working in supply chain management before Firehouse Subs, and is responsible for the day-to-day operations of the store, alongside the general manager. All the restaurants proudly display a custom hand-painted mural. In the Parker location, it is a picture of the old Parker fire engine before it was incorporated into South Metro Fire. The stone archway says "Welcome to old town Parker" in the background. It also has the local high school mascots with the family dog, all chasing a football. The menu offers specialty subs like the Hook and Ladder, which is named after a fire truck and continues to be a popular choice. An all-time favorite of patrons is the unique King's Hawaiian Pork and Slaw sandwich. This one is like nothing you have ever tasted before and will keep you coming back again and again! 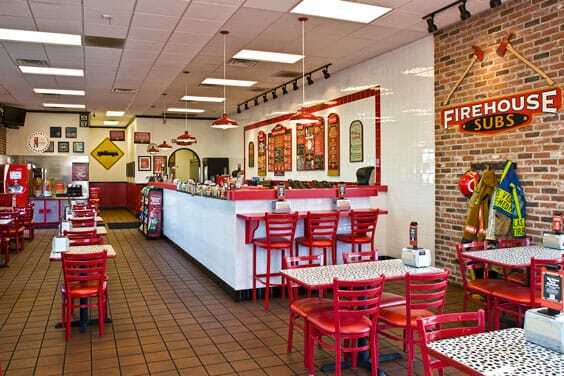 Firehouse Subs also serves cold subs, soups, salads and its firehouse chili, with just the right amount of kick. The kids menu has a choice of a sandwich (grilled cheese, peanut butter and jelly or smoked turkey breast), and includes a beverage, two Oreo cookies and a free fire hat. If you are a hot sauce fanatic, you have a choice of 50 different sauces. A favorite is the Captain Sorenson Datil Hot Sauce, named in honor of Captain Robert Sorenson, father of Firehouse founders Chris and Robin, a 43-year old firefighting veteran. The Datil pepper comes from the Caribbean and is what makes the hot sauce different from any other. It is available for purchase at all Firehouse locations. Firehouse Subs is located at 11280 South Twenty Mile Road, Parker. Hours of operation are Sunday through Thursday from 10:30 a.m. to 9:00 p.m, and Friday and Saturday from 10:30 a.m. to 9:30 p.m. Launched in 2005, the Firehouse Subs Public Safety Foundation was created for Firehouse Subs restaurants to contribute and give back to the local community. 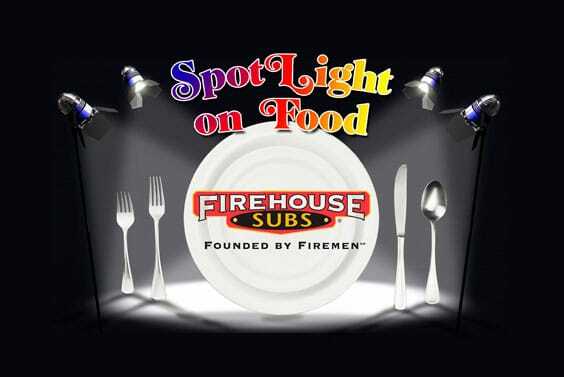 For more information, visit www.firehousesubs.com or call 303-841-SUBS (7827).